If you’ve started listening to audiobooks in the past year, you are in good company—listenership increased dramatically from 2017 to 2018, and I expect to go up from there. That means if you’re struggling to figure out which audiobook to listen to next, you’re in good company. 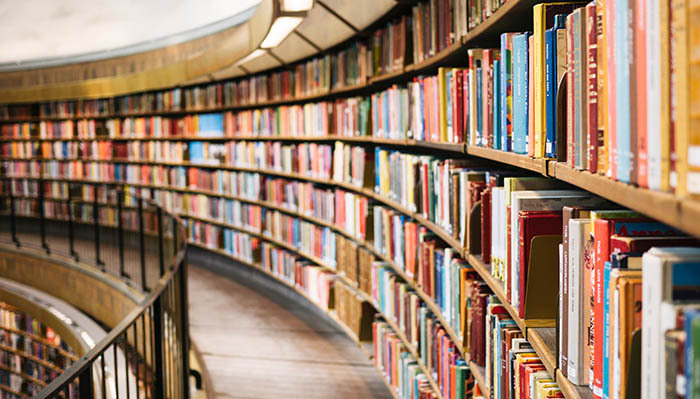 A favorite way to answer this question that plagues every reader (and listener) is to choose a LONG audiobook—one that comes in at around twenty hours, or perhaps much more. Decide once, and you can happily listen for a good long time, without needing to visit your library website or peruse an app. And if you’re paying for those audiobook credits through a service like Audible or Libro.fm (where one credit = one book), an extra-long audiobook helps you get the most value out of those credits. 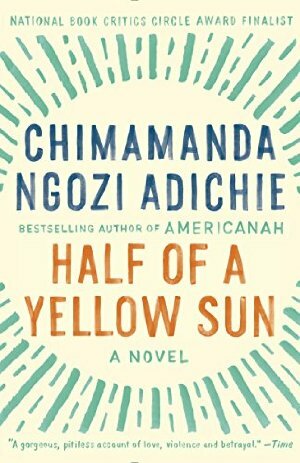 Today I’m sharing my favorite, very long audiobooks. I snuck in two that are a little less than twenty hours because I LOVED them. You’ll see below which ones those are. And I included one I’m eager to read but haven’t yet. Tell me your thoughts in comments? PSA: Now is a great time to stock your audiobooks “shelves,” because right now you can get 3 audiobooks for the price of 1 from Libro.fm. This deal is just for Modern Mrs Darcy readers. Enjoy! How do you feel about long audiobooks? What favorites would you add to this list? Tell us about them in comments! P.S. 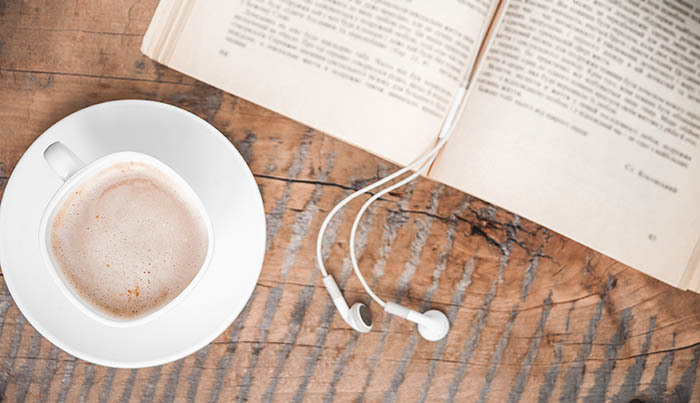 For the other end of the spectrum, check out these 15 terrific audiobooks you can listen to in 6(ish) hours or (much) less. I also recently shared my favorite listening experiences of 2018, and you can view all audiobook posts here. Next:What’s saving your life right now? You left out 11/22/63 by Stephen King. My husband and I listened to it on a road trip from Louisiana to Washington, DC and back and still didn’t finish! I was just getting ready to say she forgot this one! Loved the audio version. Listening to Becoming and its absolutely amazing! I felt the same way! 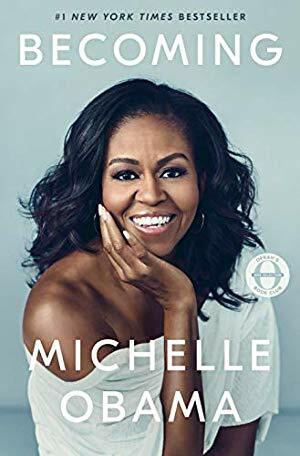 This audio book is at the top of my list and it was refreshing to listen to the former First Lady tell her own story. Oh, yes! Richard Armitage’s narration of David Copperfield is one of my all-time favorites. I was in that world. A Little Life by Hanya Yanagihara! Soooo good, and at 32 hours and 51 minutes, you definitely get your money’s worth! I’m listening to Kristin Lavransdatter right now and …. I can see why it’s not on your list. It’s not terrible, but 35 hours in (10 to go!) my enthusiasm is waning thin. I listened to ALL of Kristin Lavransdattar last year and can confidently say that it does not improve as the story progresses. The characters don’t really evolve and I found the three books very repetitive. Hope that’s helpful. Oh no! I just finished Kristin Lavransdatter a few days ago and it is absolutely my new favorite book! It was completely worth the 45 hours for me! I listened to the audiobook last year and I loved it! I loved Kristin Lavransdatter on audio last year and loved it too! So good! American Gods by Neil Gaiman, not the sort of book I would normally read but I found myself making every excuse under the sun to continue listening to it! I’m listening to that right now!!! I’d never pick up the book either but the full cast audio is a masterpiece! Second 11/22/63! Fantastic book and well read! My husband is listening to it and living it (in my recommendation) and he’s not a reader! Thanks for the list! I recognize some favorites here and anticipate finding more. “Pillars of the Earth” and “World Without End” by Ken Follett, 41 and 45.5 hours respectively, are both wonderful audiobooks. I second this — Ken Follett’s epic historical fiction tomes make for fantastic long-term listening! I love long books to listen to, and especially series. 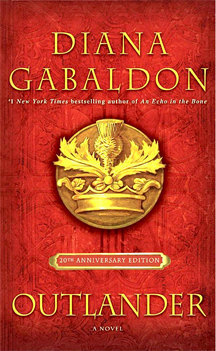 You recommend Outlander, remind your listeners and readers there are currently 8 books in that series (all long listens) along with numerous books on specific characters…Can’t wait for book 9 coming in 2019. I’m on Fiery Cross -54 hours! I started listening to the books after the first one because I find that reading dialect slows me down. Jamie and Claire seem like old friends now. ? I am listening to Fiery Cross now-54 hours! I began listening to the series after reading the first book. I find reading dialect slows me way down, so I enjoy the series much more now. Jamie and Claire seem like family now ? I love long books, audio or print. 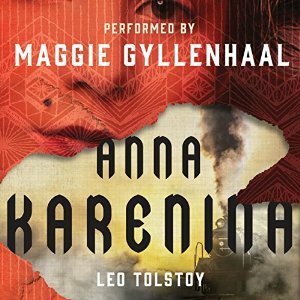 I listed to Anna Karenina narrated by Maggie Gyllenhaal about a month ago and definitely enjoyed it. 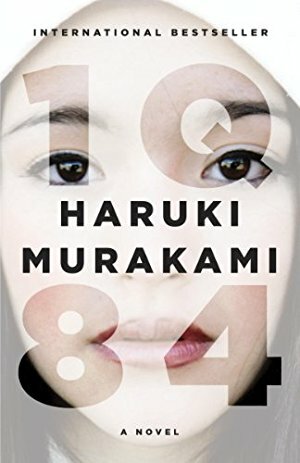 1Q84 is waiting in my Audible account, but I haven’t started it yet. I might throw in My Brilliant Friend. It’s not that long, but the four part series reads like one long book, and I was inclined to listen to them all back to back. And if you really, really love Sherlock Holmes, there’s Stephen Fry reading the complete works — 4 novels and 5 collections of short stories (and 9 narrator-written introductions) that come in at a whopping 63 hours… you can, of course, read it book by book, but it definitely gives amazing value per credit. awhile and this was perfect way to do it. The narrator is so important to listening when your reading is audible.I am dis-appointed that you didn’t credit the actors in this column. I had to navigate to Audible/Amazon to create my list…I recommend any books narrated by Barbara Rosenblatt, Jim Dale, CJ Critt or Davina Porter as well as George Guidall (often heard on Law and Order. )My all-time favorite BOT was Terms of Endearment narrated by Barbara Rosenblatt. Thomas Vincent Kelly did an amazing job narrating the YA Ashtown Burials series. I’ll have to look for more of his narrations. The Robert Galbraith books, in order. Perfect choice of reader. Robert Glenister is amazing for Cormoran Strike! I usually switch between audio and print to speed things up, but I cant stop listening to him! I love the idea of listening to classics on audio! I feel like listening to audio books is like free reading time (especially when you can’t read a physical book – I’m a recent convert) so I love the idea of using that for classics that I have trouble normally picking up. I’m the same way, Amy. I have been enjoying many classics over the past few years during DIY house projects – Sherlock Holmes, Dr. Jekyll and Mr. Hyde, and now Count of Monte Cristo. Ones I’ve always wanted to get to but would not make it on my TBR list any time soon. Ah, East of Eden. My favorite book. When I was sixteen my Grandma and I read it at the same time and enjoyed deep discussions about family, history, and morality. It holds a special place in my heart. 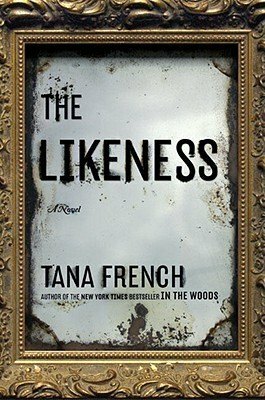 I just started The Likeness on audio yesterday and you’re right it’s fantastic! One of my favorite audiobooks is You by Caroline Kepnes, narrated by Santino Fontana, one of the best narrators I’ve ever heard! Completely agree with 11/22/63. And in that same vein, I recommend The Stand also by Stephen King. I’m amused by this list since I’m known to listen to an audio book at 1.25x or even 1.5x speed to get through it faster. It’s not that I don’t like (LOVE) long audio books, but I’m always impatient and what to know what happens next! That said, I love the idea of bang for your buck with Audible credits – I must look into some of these. Unless it’s a heavy accent I always listen on 2x. If it’s much less it sounds like they are dragging out words. I think it’s all in what you get used to. I’ve been working my way up the speeds. I can’t wait to get to 2x!!! I usually listen to mine at 1.25 or 1.5 (or 2 if it’s super slow reading). But the last few books I’ve listened to have been at 1.0 because it just sounds right- I usually find 1.0 to be unnaturally slow. 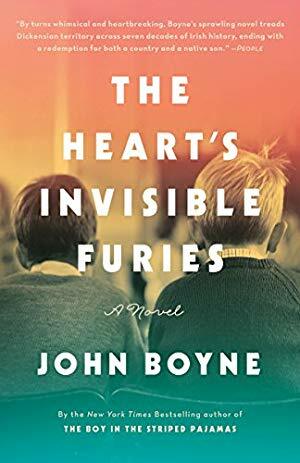 I’ve listened to Harry Potter 1-3 on 1.0, The Secret Diary of Hendrik Groen on 1.0 and now The Heart’s Invisible Furies on 1.0. But most other books are sped up. I really like that the Libby app allows you to tailor the exact amount you want it sped up by so you can go to wherever works best for you. Just yesterday I was searching Audible for LONG books to read! Thank you for the list and the reviews. 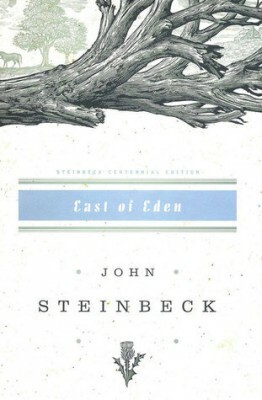 I am currently listening to Becoming, and will be adding East of Eden by Steinbeck and several others from your list. Just in the nick of time. If for nothing else to say I have read it. I am enjoying parts of it but so many characters and their alias has become confusing at times. I only began listening to audiobooks in Dec 2018. I’m embarrassed to say I used to be an audiobook “snob” – did it really count as reading if I was doing it while I also washed dishes? Three big “ah ha” moments changed my mind. 1. I always assumed I would be too distracted to follow an audiobook. Then I realized I was listening to tons of podcasts and found them engaging, so maybe audiobooks would be the same. 2. This is the most important one. My daughter was diagnosed with dyslexia last summer. During my research I discovered audiobooks would be beneficial for her. It was always important for me to model reading in front of our children, and I want my daughter to love it as much as I do. How could I encourage her to listen to audiobooks if I didn’t see the value in them for myself? I needed to show her that reading didn’t have to mean a physical book in my hands. And 3. I read on your blog that listening to books and reading books uses the same parts of your brain. Sold. It has literally changed my reading life. The first I tried was The Good Life and fell in love with the narration. Currently I’m listening to Michelle Obama’s Becoming and I absolutely love it. Thank you Anne, for showing me the value of audiobooks. ? Just a note about the dyslexia-we listen to a LOT of audiobooks. On our car rides to school (30 minutes) and longer car journeys, we listen to audiobooks. Our dyslexic son follows along with the physical book in the back seat. It works out quite well. Takes a bit of planning to make sure you have both copies ready, but I like to think he is picking up something from the hard copy-how a word looks or is spelled, punctuation, sentence structure, paragraphs, anything. At least it can’t hurt! How old is your son? Our daughter is 7 and was diagnosed with dyslexia last summer. I’ve started listening to audiobooks in hope that she’ll enjoy them and it helps her. Dyslexia still feels very new to me but I want to do anything I can to help her. ? Our son is 12 (very young emotionally though). We started out just listening to books (back when they were cassette tapes), and have made several graduations-now listening on audible and him following along in the backseat. He was diagnosed probably when he was 8 (can’t recall any longer). He still doesn’t pick up too many books voluntarily, other then Diary of a wimpy kid, or required school reading, but does devour a weekly kids’ newspaper he receives in the mail. At least he can participate if his peers talk about Harry Potter, or any of the Roald Dahl books, or other popular kids’ books. All we can do is model the behaviour and encourage. The passage trilogy is great on audio! “In Search of Lost Time” by Marcel Proust is 153 hours. The book (English translation–all seven volumes) took me three years to read. Roots by Alex Haley is phenomenal. 30 hrs 6 min! Loved Lonesome Dove on audio. I, too, did not know if I’d really enjoy a western novel, but thought I’d give it a try on a road trip to visit family in Texas. My husband and I thoroughly enjoyed it (in fact Gus is now one of my favorite literary characters), but we drove 14 hrs and back and still didn’t finish it until a couple days after we got home. It is western, but so much more. Great on audio despite being long. I just bought a doorstopper in the form of a gorgeous, Les Miserable Penguin paperback. Having been a francophile and Victor Hugo and Les Mis fan for over twenty years now, I decided last week that it’s time to tackle the novel. I think audiobook will be the best way to do this, too! I chose the 60 hour version narrated by George Guidall and am looking forward to listening very soon. The Stand by Stephen King – the narrator is so good and the plot is really fast paced. At 47+ hours and over 1100 pages – it is well worth the credit. I am almost a book snob in that I wasn’t going to read it, but a friend received it for the holiday and we started it together. King’s characterization is spot.on. I highly recommend it! 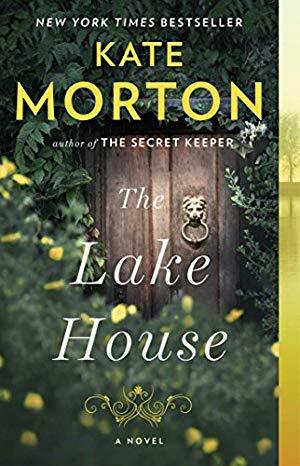 So funny you mention THE LIKENESS because this is an audiobook I was totally hooked on…and it disappeared from my Overdrive account at a critical point in the story! I had to wait a few months to get it back but in the meantime encouraged my gym teacher to listen, too. A long series I took months to finish (and many rechecks from the library) was Justin Cronin’s THE PASSAGE. I’m still not sure if I loved it or not. I was definitely involved. How many times did I announce to my family I was off to listen to my viral vampires? Who can say? I wanted to thank you, Anne, for introducing me to Emily Giffin. I’ve had a lot of fun the last few weeks listening to her books. I’m on #3 right now. Also, I spent last weekend with my childhood best friend and I told her about your blog, (she asked where I was getting my book recommendations from) and now she’s signed up! The Hobbit and The Lord of the Rings! My favorite long audiobook is Seveneves by Neal Stephenson. Roughly sci-fi, on what might happen if the Earth were suddenly not livable, good science, good plot, well written. Another by Stephenson, Reamde, a high-tech global adventure story. I liked them so much, I listened twice! Just about to start The Big Green Tent, and it’s 23 hours. 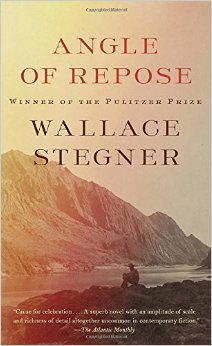 Last summer I thoroughly enjoyed Angle of Repose from audible. Does anyone know how the audio version of Pachinko is? A little over 18 hours, Maria. It was good! I wasn’t a huge fan of the book. Mediocre read for me. But the audio was good. Really enjoyed the audio version! I had literally just signed into Audible to hunt for a long book to use my last credit for before (again) canceling my membership. Thanks! Also, HUGE recommendation for BECOMING, which is amazing. I am listening to the Count of Monte Cristo right now, and I think it will clock in above 43 hours because the narrator is doing incredibly realistic French and Italian accents for each character. I am loving this complicated story and seeing many interesting parallels and contrasts between Jean Valjean and Edmond Dantes. 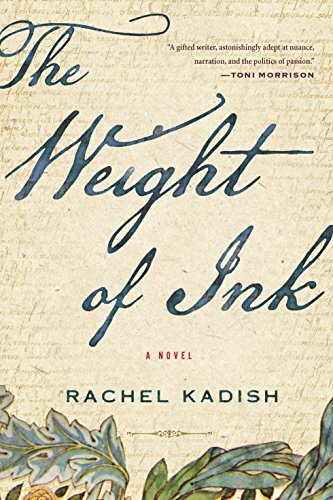 Also- The Weight of Ink begs to be read, not heard. It’s right there in the title! 🙂 It’s a beautifully written novel that seemed to me a tribute to the seduction of the written word. I’d encourage you to read it the old-fashioned way… though I’m sure you will love it either way. I just finished listening to Cutting for Stone by Abraham Verghese….I also read the book first, so hearing the story added so much detail and emotion to the story. We drove from Seattle to Los Angeles over 2-1/2 days…and then the return trip up 101. I’ll estimate the length about 30 hours or more. A long drive made all the better for this fabulous story unfolding mile by mile. It is my favorite book of 2018. Thank your this comprehensive list. I can’t wait to start reading another long story. Oh, I LOVED the audio of Cutting for Stone. It wrecked me! I listened to this book in 2013, and it took forever, so it seemed. Perhaps the longest book I’d ever listened to. It was very good, and although I don’t remember details about it now, I remember the hold it had on me, and how invested I became in it. At the time, I had a CD player in my car, and would find any excuse to drive. I may have to give it another listen now, after being reminded of how much I enjoyed the story! RE: The Count of Monte Christo: if you can get the audiobook read by John Lee, it’s one of the best books I’ve ever listened to, and I’m an avid audiobook listener. You won’t be disappointed. On one of your podcasts, your interviewee recommended doing both the audio book and reading along to Marlon James’ A Brief History of Seven Killings, because the Caribbean dialect was wonderful to listen to. How long is the audio book? Becoming by Michelle Obama is so good! 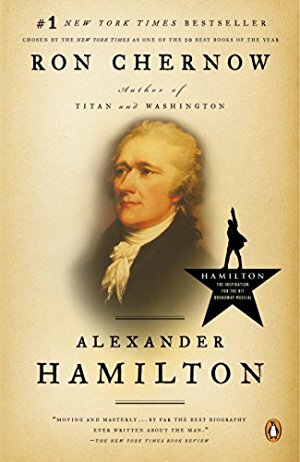 I pre-ordered it on Audible, started it on its release date, and finished it in December. It’s long, but I’m glad I got to hear Michelle Obama read her own story. When my next credit becomes available soon, I will be reading Don Quixote, translated by Edith Grossman, and narrated by George Guidall (whose voice I just love). It is 39 hrs long. Looking forward to it! I listened to both The Weight of Ink and The Count of Monte Cristo on audio and was so pleased that I did. I had tried each in traditional form and could not make progress; the audio just made the experience easier! I also adore Winds of War and War and Remembrance by Herman Wouk on audio…. worth the investment of time! John Adams by David McCullough was a gem on audio. 30 hours. Not a minute wasted. Currently I am “rereading” the Harry Potter series via audiobook. Taken as a whole, very long indeed! 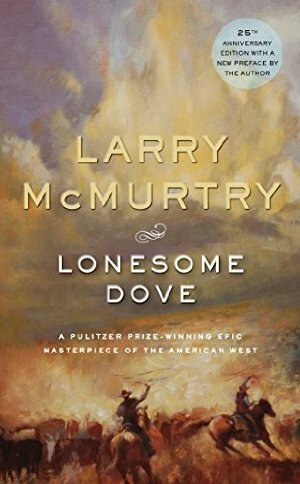 You have recommended Lonesome Dove once before, and that was why I bought it. I loved it so much; these somewhat weird or Special characters really get to you! 1Q84 is great, too. Looking Forward to sampling the rest of the list; I can definitely also second Outlander and The Secret History. Thanks for this compilation! The Julie Stevenson Middlemarch is magnificent! It took me months to finish, but it was so beautiful. I’m glad it made the list. America’s First Daughter: a Novel, and The Prince of Tides are two great and lengthy books that I thoroughly enjoyed listening to. I have to offer honorable mentions for the Harry Potter series books, not only are the latter books quite long Jim Dale does an immensely amazing and satisfying job making the characters and story come alive. Also the Inheritance Cycle books by Christopher Paolini are also great and range from 16 hours to 31 hours. I may or may not have complained when a friend chose Warmth of Other Suns in our book group. I went to pick it up at the library and scoffed that it was over 600 pages- but I really enjoyed it on audio, and was sad when it was over. Great choice. 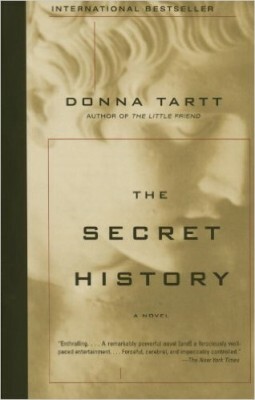 What about The Goldfinch, also by Donna Tartt? 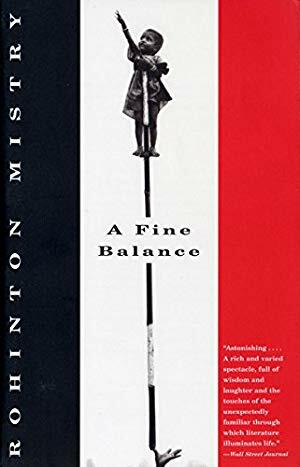 I was so surprised to see “A Fine Balance” by Rohinton Mistry on your list, but it’s one of my favorite novels. I read it in paperback, from the library. I couldn’t put it down, including reading in the bathtub! Sure enough, I dropped it, the only library book I have ever damaged. The paperback was of course cheaper to pay for! Now I want to re read the audio version. I love your list, many I have read or listened to, and some are already in my audible library, or in my overdrive wish list. 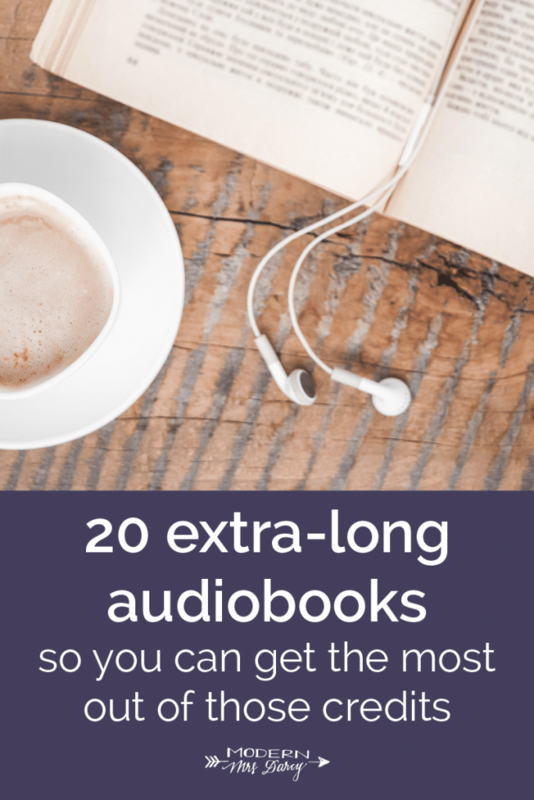 I’m addicted to audiobooks and have one audio, one print going at all times! Kearns Goodwin’s “Team of Rivals” is unmatched. I’m in the midst of it now (having done “Anna Karenina” earlier this year), and it’s wonderful. Highly recommend this one, too. I’ve listened to seven of the suggestions on this list (The Warmth of Other Suns, Becoming, The Count of Monte Cristo, the Lake House, Half of A Yellow Son, Hamilton, and A Secret History) and will have to check out the others. These were all fantastic listens. 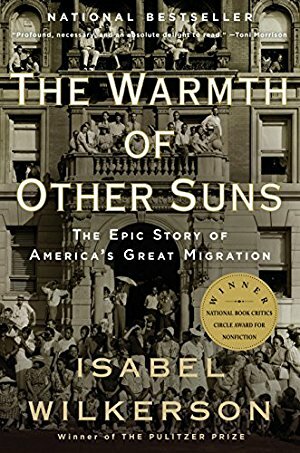 I just finished the Warmth of Other Sons and found it horrifying and fascinating – another piece of our country’s history that has been swept under the rug. – The Far Pavilions. I kind of remembered this mini-series from when I was a kid adn the book did not disappoint. This logs in at 48 hours and 45 minutes! Talk about bang for the credit! – Beneath a Scarlet Sky – almost 18 hours. Wonderful true story of an Italian during WWII who ended up the driver of a high ranking Nazi. – Kane and Abel, by Jeffrey Archer. Another book from the 80s (I think). This book flew by and was a lot of fun. I am currently listening to The Edge of the World by Kevin J. Anderson (21 hours) and throughly enjoying it. I wanted a long book for a trip and found this fantasy read by my favorite narrator, Scott Brick. There are two more in this trilogy. The length of a book or audiobook is not an issue for me, as long as it’s well written. I’m currently listening to The Moonstone, by Wilkie Collins, that’s over 22 hours long. I listen to audiobooks as soon as I have a minute doing chores: cooking, doing the dishes (get rid of your dish washer, you’ll be amazed how many audiobooks you’ll get to read), cleaning the house (fire your maid, you’ll be amazed how much you love dusting and vacuum, as long as you can listen to your book at the same time), ironing (good bye to dry cleaning), gardening, etc. Long but worthwhile: Doomsday Book by Connie Willis and Blackout by Connie Willis. “All Clear”! I love Connie Willis. I’ve just checked and I am misremembering the length of A Tale of Two Cities, it is only 14 hours long. But Vanity Fair (narrated by Georgina Sutton) is comfortably over 20, it’s 32 hours long. I don’t think anyone has mentioned Sarah Waters. Her earlier novels “Fingersmith” and “ Tipping the Velvet” are gothic historical dramas, great stories and narrated by Juanita McMahon (aka Davena Porter) and weigh in at 23 and 21 hours. 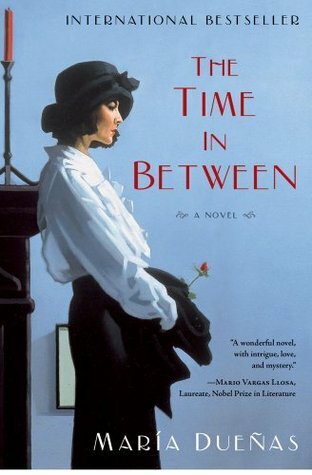 Her most recent novel, set in the 1940s, “ The Paying Guests” is 21 hrs. Looking forward to whatever she does next! I have to second Fingersmith, which is one of my favorite books. 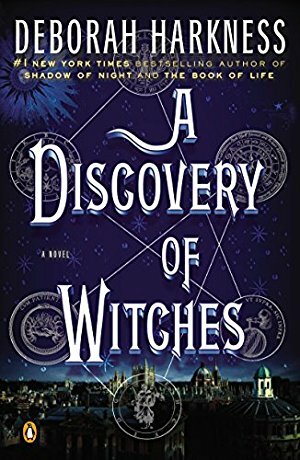 I liked all of Sarah Water’s other books, but haven’t listened to them on audio. I like her Victorian titles much better than her ones set later. Are Juanita McMahon and Davina Porter not different people? Haha! I am glad you explained. They both seem like good narrators. Davina Porter is great reading the Outlander books. The Power of One by Bruce Courtenay. Excellent! Pillars of the Earth by Ken Follett, Gone with the Wind by Margret Mitchell. Both are great long books. Ken Follet’s The Pillars of the Earth read by John Lee is excellent – all 40+ hours worth. Stephen King’s The Stand read by Grover Gardner is well worth it. I do a lot of driving for my job and LOVE long audiobooks! Definitely adding some of these to my list. I’m an avid audio book listener. I read 75-100 books a year, with the majority read via audio due to some visual issues I have. The longer books definitely give you the most value in terms of cost, however, I’d encourage those of you new to the format to choose a shorter title. I found that when I was just getting started listening to books vs. reading them in print, it was easier to follow the book if it was short and less complex. With long sagas, you can forget the early portions and you can’t refresh your memory via a quick flip through of the early chapters. It’s easier to retain a story if you just heard the early portions a few days or weeks ago. Complex structures can be challenging via audio as well if you’re not used to retaining the info audibly. Books that bounce from one time period to another, shift perspective or have multiple points of view are more challenging. They’re not something to avoid outright, as sometimes the audio can complement these features, such as with Lincoln in the Bardo, but I wouldn’t suggest starting there. I find the easiest audiobooks to follow are memories narrated by the author. It feels like someone is simply telling you about themselves and they have a familiar conversational flow. Consider starting there. Educated, When Breath Becomes Air and Born a Crime are excellent choices. If you want to start with fiction, consider a re-read of a favorite title or a sequel of a series you’ve already enjoyed. This way, you’ll already be familiar with the characters and the cadence of the author. 1. You enjoy the voice of the narrator. Some will just bug you. Some people like a good accent, while others are frustrated with having to listen more carefully because of it. Some people prefer one gender over another. It’s very subjective. You’ll learn what you like and don’t like over time. 2. You pay attention and are motivated to keep listening for the whole 5 mins sample. If your mind wanders and you have to keep repeating sections or you don’t care to keep going, this probably isn’t a good choice for you. Something isn’t clicking. 3. Regular Audible listeners are speaking favorably of the narration. Read some of the Audible reviews (or wherever you get your audio), focusing not on the content of the book, but on what reviewers are saying about that audio format. Also, keep in mind that, with Audible, you can return books that you start but decide just aren’t for you. Lastly, listening to books is a skill and you will get much better at it over time, so have patience with yourself. I was terrible at it at first because I’m a very learner, but now I am quite good at it and enjoy it immensely. ? Maybe these will convince me to make the leap into a paid subscription–I do audiobooks all through my public library, and I usually have to check them out several times (sometimes with a wait in between!) to finish. On the other hand, I’ve used audiobook listening combined with text reading to get through some chunkier books (including Anna Karenina, which I loved). I am looking for wireless headphones to listen to audiobooks. Do you have any recommendations? I really like the Anker SoundBuds, usually $20ish on Amazon. I bought The Heart’s Invisible Furies over Christmas (on sale, I think?) after seeing it on bookstagram a ton. I had just finished my last audiobook (The Secret Diary of Hendrik Groen, what a wonderful book!) when I saw this post and it inspired me to start Heart’s Invisible Furies. I’ve listened to it pretty much all day today and love it. Thanks, Anne! I love the Outlander series. I read all the books first, and then listened to them on audio because I wanted to re-read them but didn’t want to interrupt my TBR pile. Davina Porter spoiled me and it’s been hard to listen to anyone else, because she is SO good. I second the recommendation of the Robert Galbraith novels…Glenister does an excellent job. Thanks for the deal! I’ve just gotten into the series after avoiding it for years and then swearing just to read the first book. Davina Porter is amazing and I became immersed in the story about halfway through. I’m on book 2 and have a feeling I’m plunging down a long Outlander hole. The rest of my TBR will have to wait! Glenister is wonderful too. Thanks for all of the great suggestions! Right now I’m listening to The Tenant of Wildfell Hall by Anne Bronte for one of my book clubs. 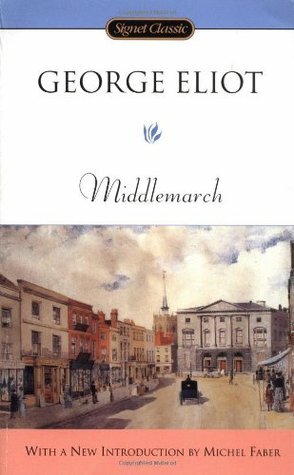 It’s considered one of the first feminist novels and was hated by her sister Charlotte. I’m really enjoying it. It’s about 20 hours. Thanks for the great suggestions! I would add the Song of Ice and Fire (Game of Thrones) series by George R. R. Martin and narrated by Roy Dotrice. My absolute all-time favorite narration! Also, the main books in the series are all over 30 hours each. I read the physical books and then listened to the audiobooks long before the HBO series and I had to postpone watching the series for a few years because the actors just didn’t match with Dotrice’s versions of the characters dancing in my head and I had to wait for them to fade a bit in order to enjoy the adaptation. The Warmth of Other Suns is so good. I wish it were structured differently, but the audio was fantastic. 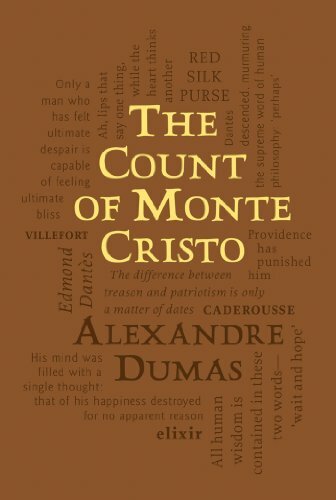 The Count of Monte Cristo was my favorite read of 2018. It was engaging from page 1. I had my doubts it would be able to keep up that pace throughout the entire book but was pleasantly surprised. Just finished a book I heard about on your podcast (“Team of Rivals”) and loved it! Thanks for all the good recommendations. Great list! I’ve enjoyed several of these books and looking forward to adding many more to my audible wish list. But…where is my all time favorite Audiobook – “Gone With The Wind”? It’s a whopper but I was completely drawn into the story and the narrative. I had never seen the movie before, but once I started listening I don’t think I turned on a tv, radio or podcast until I finished it. Loved the characterization in Owen Meany, pretty long. Then there is Atlas Shrugged, incredibly long. The Sherlock Holmes collection narrated by Stephen Fry is the best value by far. Over 60 hours of content and many books. You left off the granddaddy of them all, clocking in at 49 hours and 2 minutes, Gone with the Wind! I’ve never listened to an audio book. On what device do you listen, anyone? And doing what? Obviously in the car on a road trip but where else do any of you listen to an audio book? I have visions of doing this while cleaning house, maybe? I’m afraid if I were to listen sitting still I would fall asleep? Will you share with me please?